Greetings and welcome to the most unpredictable four days of the school year. In the eleven years that I have been a superintendent, this time of the year normally presents the most unusual behavior out of students, staff, parents, and probably myself. The joys and pressures of the holiday season converge in what can only be described as a science fair volcano; you know it is going to erupt, but you don't know if it is going to spill onto the carpet! I am looking very forward to visiting classrooms this week and experiencing these last four days before break with your kids. I hope to be able to share many of my visits on Twitter, and I leave you with a poem that I wrote which should reassure you that I am not quitting my day job! My next blog post will most likely come after the holidays. Have a safe and enjoyable holiday season with family and friends. About the temperature of the high school pool. A two-hour delay comes from, even when the weather seems fair. X-box, sledding, shoveling and clearing the sidewalk? Hanukkah, Kwanzaa, and Christmas; the “holidays” they will be! Greetings from the frozen tundra of Syracuse, New York. We are going to try our best to get through this week with as few interruptions as possible, and as I write this message East Hill is beginning their great holiday concert that I had a chance to see this morning (pictures available on www.twitter.com/cbrownwgcsd). It will be very important for you to check westgenesee.org/ or our Facebook fan page (which you can access from the home page of the web site by clicking on the Facebook icon in the upper right corner) if you have children, grandchildren, nieces, or nephews involved in athletic or fine arts programs to make sure that events are being held as scheduled. You might have seen some information about a Special Education services audit that was completed by the New York State Comptrollers Office. While the audit summarized that the District did nothing wrong, they did criticize the District for not seeking the lowest per hour price for the people who work with our Students with Disabilities (low bidding is not required for confidential services such as services for children with disabilities). The decision was made to not take the lowest bidder for Special Education services (we pay about $5 more per hour than the lowest priced provider) because we feel that our children, and especially those with disabilities, need consistent services provided by adults that we have individually interviewed to provide the best fit for each individual student with a disability. We would not be able to do this for our students if we just went with the lowest bidder for the services. If we need to take the hit for that, then so be it. A copy of our audit will be made available on our web site, and if you have any questions please feel free to contact me. Speaking of audits and budgets, the governor-elect announced today that he is going to be pushing for a tax cap of 2% or the cost of inflation whichever is less (right now inflation is about .9%). He also intends to make the biggest reductions to health care and education. As it stands right now voters (with a 60% majority) will be able to vote to go above the cap. For West Genesee, the tax cap will cause us to have a gap of about $5M to close. The first thing you might think of is a pay freeze, which I know my staff and I would consider, but the total amount saved from a pay freeze is about $730,000, quite a distance away from the $5M gap that we might need to close. Our principals, directors, and I are prioritizing athletic, fine arts, and academic programs that we may have to do without to close this gap, and I have been working with neighboring districts to discuss consolidation and sharing of service opportunities. We should have some better information right after the holidays, and I appreciate your support through what will be the most challenging times for the New York State public education system. Our anti-bullying climate survey is also going well. We have administered the survey to approximately 3,000 students so far and hope to have it completed by the beginning of next week. I will post the overall results once we have them, and our team will meet right after the holidays to take our next steps. Stay warm these next few days. I am hoping that my snow blower will be repaired in time to clean up the snow that is coming this week! Whoever is Dreaming of a White Christmas Can Start Dreaming about Something Else! Well, these last few days have been pretty interesting. With the thought of another Winter storm hitting on Sunday, my wife reminded me that since Monday I have worked (happily, of course) 16 hours before 8:00 a.m. The people who have worked much more than me, however, are the plow crews. Yes they get overtime, but would you want to work for four days straight on about five hours of sleep? Thanks to our own crews, as well as the Town and County crews, for working to keep us safe and our schools and businesses open. I also want to thank our bus drivers. I used to be a volunteer firefighter and spent time driving all kinds of fire trucks to fire calls. That is nothing compared to driving the same sized vehicle with 60 passengers on board (many with ants in their pants) on snowy roads. Many of you have thanked them for their great driving and service especially in these tough conditions, and we will celebrate the week tomorrow with coffee and donuts and I will pass along your thanks. Then there are the food service workers. Imagine cooking a big dinner at your home and then receiving a call from your spouse or kids telling you that they "can't make it". That is the feeling that our staff get every time we delay or close...when cooking for 5,000 students. They have to meal plan, schedule, and work twice as hard on delay days to keep the cafeteria in good working order. It seems like we will get through the rest of the week without interruption and we will see what next week brings. Now, put yourself in the shoes of Mr. Davern, our Director of Fine Arts, and Mr. Pascale, our Director of Athletics. We missed three days of concerts, practices, games, rehearsals, and training. They are working together right now to try to reschedule everything and have the least number of conflicts. They both will have to stack games and concerts on top of each other in order to fit everything in before the holidays and they and I appreciate your understanding. In my own house I have an 8th grader who has missed a game and concert and a 10th grader who has missed three practices and a scrimmage. Stay tuned to our website and Facebook for scheduling updates. Please remember that next Monday and Tuesday look questionable also, so the beginning of next week could very well be "next verse same as the first" no pun intended. The real bummer for me this week is that I will probably not be able to get to every classroom as I usually do, but I am sure that the students and staff will be understanding. Welcome to Winter in Central New York. One might ask why I chose to have a one-hour delay when it does snow a lot here in Syracuse. I made the decision because this is our first significant snowfall on the morning of a school day and all of us need to get back up to speed on how to handle these conditions. I felt it was unsafe to have our high school students out at the bus stops in the dark while plows were out for the first time, and we were on the roads trying to get to work on time. The one extra hour gives everyone time to slow down, our students a chance to wait in the daylight, and an opportunity to have most of a school day. Please do not ever think that a delay is due to our own school buses or our own parking lots and sidewalks. Our buses are the safest vehicles to travel on during this weather. They all have the best tires, brakes, wipers, and drivers on board that you can find, and they are all "pre-tripped" (all aspects of the buses are checked out and tested) and de-iced prior to hitting the roads. Ice is the only enemy of buses and on those days, we do not have school. Our building and grounds crews work through the night to make sure that parking lots and sidewalks are plowed and that everything is salted. All of our staff take tremendous pride in making sure that everything is ready for school, and I always get calls from them when we do delay letting me know that they have everything ready for when students and staff do arrive. Afternoon and evening activities are a different story. As the temperatures drop and the evening commute begins, I have to make the decision to have students and parents traveling back to school for practices and events. If you were to chart my decisions over the past eleven years, I think you would find that I have cancelled afternoon and evening activities far more than delayed or closed school. Safety first. It is supposed to snow like this through Thursday, so we will see what happens. This week is pretty interesting. While I do not have many night-time commitments (only four nights this week!) my days are going to be packed with meetings about the budget. What would be really helpful would be to get some face time with some of our elected officials about the budget, but I cannot get a return phone call from any of them. If I could get a general understanding of the size of the deficit schools are going to face I could make some very concrete budget decisions at an early stage, but I guess for now we will just plan for the worst and hope for the best! Later this week (probably Friday) I am going to post a presentation that I gave to the Board of Eduction outlining my thoughts to date regarding the budget and what we are going to need to do to balance our finances in the wake of a tax cap, reduced state aid, and reduced federal aid. After the holidays I will release the entire report and we will start making decisions. Speaking of decisions, the Board of Education and I have agreed to a four and a half year contract extension for me to remain superintendent of schools. I am pleased and very appreciative of the support I have received from the Board of Education, staff, community, and students. With this agreement in place we can now concentrate on moving the District through the most challenging times that New York State has ever seen. I thought I could make it a few days without straying from my diet. Wrong. The food and company were too good to not eat at will. Back on the saddle on Monday! The next few weeks will be an absolute blur as concerts, games, budget building, building visits, and desk work will keep me more than occupied. I am ready to roll, though, so bring it on. The season officially kicks off with the National Honor Society induction tomorrow evening, followed by basketball games, a board meeting, a school boards dinner and then the semi-formal. One of the things that I like about this job is that every day is different and if you were to look at my schedule you would see that I have to be on my toes for anything that comes up! One of the questions that I was asked several times over the weekend was my professional opinion about Cathie Black being named the new head of the New York City Public School System. If you take away all of the politics related to her hiring, I see a business-woman who has a track record of getting things done in the business world. If I was the mayor of New York City, I would hire an educational assistant for her so that her business mind can be properly wrapped around improving the educational output of New York City Schools. I would then put her on a three-year contract and let her do her job and evaluate her. If she did not advance the school system after that time, I would release her and find someone else. You might wonder why I would care who is in charge of the New York City Public School System. Fair thought. People need to remember that some law makers and legislators are biased towards New York City, and the money the schools receive in the New York City area takes away from what is given to schools upstate. If Cathie Black begins to show improvement, you can bet that she will receive more resources to do her job and that will take away from what we get. Selfish I know, but I consider myself a business man and to stay alive in this tough economy you have to recognize every angle. I wish her the best of luck. Thanks for visiting Twitter (@cbrownwgcsd) and our Facebook page, which has enjoyed a 290% increase in traffic in the past week alone. Time to go get some things done. Have a great week and I hope to post again before the weekend. Well this has certainly been an interesting few days. On Friday I was invited back to my old community to be recognized for their receipt of the Blue Ribbon School award, which was given for most of the time that I was still superintendent there. After having experienced West Genesee receiving the Blue Ribbon School here when I first arrived a few years ago it was nice to think about closing one chapter of my professional life there and opening and now living a very positive and "new" professional life here. What was also good for me personally was that I have been here long enough now that when I went back there some people did not know who I was. That was a good thing to experience. What have you done for me lately? still reigns supreme and I like it that way! I was also surprised and humbled on Sunday night by being selected to receive the "Making IT Happen" award from the International Society for Technology in Education (@isteconnects) at the New York State Computers and Technology in Education (@nyscate10) conference in Rochester, New York. The nomination was made not only by members of our own school community, but by others across the state for helping to influence national and global changes to how we approach the use of technology in education here at West Genesee. 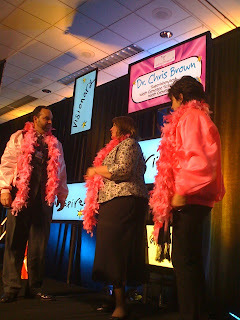 Also imagine my surprise when I got to the podium and discovered that my "prize" was to wear a pink jacket and pink feather boa! While I accepted the award, I did so on behalf of all of the staff and community members who have embraced technology, been willing to try new things, and have never strayed from the mission of helping students to be successful. A special thanks goes out to all who have followed on Twitter and read this blog because that exposure has helped us to reach out globally and since Sunday I have been able to create some new networks of people beyond the confines of the state. Okay, waaay to much about me. People are going to think that I have one of those "big ego's" which I certainly hope I don't have. I just wanted to cover those two things in case you see them on the news so you didn't feel out of the loop! Many of our students and staff have had some tremendous success recently in a variety of activities from cross country to bridge building, and everything in-between. 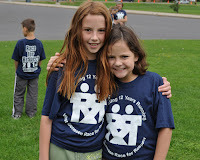 Please take a moment to check out our website http://www.westgenesee.org/ for all of the exciting information. Our Anti-Bullying Task Force is putting the finishing touches on a survey that we are going to administer to students in grades K-12 in the next couple of weeks. A letter will be going home explaining everything by the end of next week, and I want to thank members of the task force for being so generous with their time to help us advance our efforts. Thanksgiving is just a few short days away and with that I want to give thanks to you again for your continued support. Without all of you our children would not be able to do as well as they have. Please enjoy the next few days with family and friends and I will write again early next week. Another busy week ahead. I was so busy over the weekend that it was an absolute blur. I heard that I missed a great Aladdin, Jr. performance at West Genesee Middle School, and I hope to check out the video so I can share in their excitement. Also this weekend a few of our cross country runners participated in the New York State Cross-Country Championship. Seniors Billy Gabriel and John DeLallo represented us well, and Laura Leff (who I still think might be a machine disguised as a human) placed 4th out of 107 runners and is advancing to her second consecutive New York Federation Championship. Joining her will be the boys cross country team. All I can say is wow, and I suddenly don't feel as good about the four miles that I ran on Saturday morning. If you had a chance to watch The Sopranos when it was on, Tony Soprano managed to find time to feed the ducks that were in his yard in spite of all the chaos that surrounded his life. I kind of felt that way over the weekend when I signed up to be part of Cornell University's Bird Watching Program. I get to watch the birds that come to my several feeders and send the count and species to Cornell scientists to study bird migration patterns. I only get about five to ten minutes a week to watch the feeder but for that time, time does stand still and I can certainly use that. I actually saw what I think was a small falcon on Saturday morning which was pretty cool to see. Our Anti-Bullying Task Force is meeting again this Tuesday at 6:30 p.m. in the high school large group instruction room. When the meeting was scheduled, the District calendar was absolutely empty. Now we have a concert, a PTSO meeting, and a modified basketball game. I think that this is just a simple case where our committee is still new and has not found its place at the top of the pecking order. I know the boss and will work to make sure that our upcoming meetings are as conflict free as possible. I am looking forward to the meeting because we are going to be finalizing a survey instrument that we are going to administer to students regarding their thoughts on bullying. We are also going to hear a presentation about the Olweus Anti-Bullying Program which in all likelihood is going to represent the base from which we will make some adjustments based on our survey. The adjusted program will more than likely be what we invest in and use K-12 to not only meet the new bullying legislation called the Dignity for All Students Act but to also form how we change the culture at West Genesee related to bullying. Every time I open an e-mail about the budget the news is not good. I am a big-picture thinker and can tell you that usually when I am presented with a challenge such as the budget, I usually find a solution when I am running, cooking, mowing the lawn, cleaning out the gutters, or some other non-work activity. I came up with some answers this weekend as well, but they are pretty profound. There is no way that we will be able to survive this budget environment without talking to our neighbors about consolidating services, sharing services, or regionalizing services. I will stop short of saying that we need to be thinking merger, but if you consider all of the negative budget conversations that are being had at the state, local, and federal levels, cutting a few people or even a program will not make a dent. Besides we already did trim staff and programs which most of our neighbors did not do, and we are not in a position to make class sizes any larger or remove any more programs because we need a place for students to go from class to class. I have requested a meeting with all of our neighboring schools to discuss what we may need to do if a worst case scenario budget season is to happen. The fact that the new Governor is calling for the largest cuts to happen in health care and education, tells me that I have to be thinking out of the box and thinking big in order to keep up. It is also expected from the state that we should spend from our reserves to balance the budget. Great, we would last 1.4 years doing that, and our neighbors are no better off. Not an option. I am lucky to have a trusting staff, Board of Education, and community who are all willing to help to get us through this. As I learn more specifics about the budget I will certainly share. Lastly, I wanted to mention that we expanded our breakfast offering to those families who receive free/reduced lunch. Our breakfast numbers have dramatically increased. Food and I go way back, and a good breakfast is very beneficial to having a good day. We have done a great, and confidential, job of helping those who need food to get food. If you are in need of this help, you can contact me directly or you can contact Debra Chenowyth (Food Service Director) at dchenowyth@westgenesee.org. Have a great week and I hope to write again before the weekend. Those of you who know me know that I am kind of a technology nerd. Because of this trait (and the fact that I have two teenage boys), I know when the latest and greatest video games are set for release. Tomorrow will be the release of the heavily anticipated video game, "Call of Duty". It is always interesting to look at the attendance sheet on "release days" to see how many of our middle and high school students have suddenly come down with the "flu". The only gamers exempt from an illegal absence tomorrow will be those who got the game to study the code and programming to become game developers themselves. All others: get to school! One of the questions I am asked is what kind of music do I have on my iPod. This is actually a loaded question. I love music and have about 14,000 downloaded songs to choose from, as well as all of the music that I listen to from online music services like Sirius and Pandora. On any given day my iPod will have some heavy metal, classic rock, rap, jazz, and recordings of live local bands. You won't find any opera or country (unless you count a few Kid Rock tunes), and I switch things up all the time. Unlike some people, I don't need a quiet work area to get things done. The more noise the better. I probably got this trait from my high school golf team days when we would putt for quarters on the practice green while we tried to distract each other. As you can guess, I am cheap also. Another character trait. I didn't lose many quarters. During my building visits, I had some interesting conversations centered around what I report about and where I am each day and evening. There is some concern that I don't "Tweet" about certain events or activities enough or that I favor certain subjects, buildings, events, or activities over others. The truth is that if I miss something it is completely by accident. I cover a lot of ground each day and try to make it to as many things that I can. If I am not at something it is because I am at something else. The grand complicator is that I also am responsible for running the entire District which also means that I have to spend some time in my office as well. I did take away some positives from my conversations, however. People are passionate about what they do, and they want to share what they do with as many people as possible and people know that I am very connected with the students, which is my ultimate goal. People also view me as approachable and as a person who listens. I am cool with that. I am putting my thoughts together about the budget. If the doom and gloom that each governmental agency is speaking about holds true, schools across New York State are in real trouble. For example, if West Genesee were to be impacted by all of the state and federal proposals we would have to cut about $6M from our budget. As a frame of reference, our entire fine arts and athletic budgets K-12 only amount to around $2M. We, collectively as a state, need to think way outside the box if schools are to survive the way we know them. The absolute last thing anyone wants to do is take opportunities away from children, but at the same time our education and governmental systems need to change if we are to stay afloat. I have some larger ideas to make this happen that I will share later this week. Some people will not be happy with what I will write but the truth hurts sometimes. Please don't think that I am down about all of the news that I have mentioned above. I enjoy challenges and the next couple of years will present the greatest challenges in New York State education history. Because I started in the profession so young, I will be able to see what life as a superintendent is like on the other side of this mess. Good times! Good Morning. By now you have probably heard the news. Yes it is true, the Marching Band finished third last night at the New York State Field Band Championship. It is what it is. From my perspective, the students and staff did the best job they could have this season and the performance at the Dome last night was the best of the year, for sure. The Victor Marching Band, who had dominated all season, dominated again last night and they deserved to win. What can you get out of a loss? Plenty. First, I hung back on the Dome floor when the announcement was made to watch what our fans, staff, and performers would do. First our staff immediately congratulated Victor, then our students went and hugged the Victor performers, and then our parents and spectators applauded and cheered for Victor, as they should have. This tells me that when our students are faced with adversity in "real life" that they will know how to handle things. With class, dignity, and the right attitude. Were there tears? Sure. Was there disappointment? Sure. All correct emotions that were followed by a comment from an underclassman, "Next season starts tomorrow." I liked what I saw, and I am proud of them. All of them. When athletic teams face the same ending they handle their business the same way. This is very important if we are to think that we truly are preparing students for life after graduation. I am going to post later in the week regarding our anti-bullying task force, my thoughts about Race to the Top now that we are into the program, my thoughts about the proposed graduation requirement changes, and whatever else happens to be happening when I write. Have a great week and remember to make sure that your kids dress warm! First of all, it is my pleasure to announce that Gail Glagola, art teacher at the high school, Kathleen Callahan, a mathematics teacher at Camillus Middle School, and Kelli Barbuto, 5th grade teacher at Stonehedge Elementary School, were all named as 2010 Teachers of the Year by the Camillus Optimists Club. They were voted on by their peers and a reception to honor them will be held in November 9th. Congratulations! 4. Raising the "passing grade" of a Regents exam from 65 to 70, 75, and 80 respectfully beginning with the 9th graders entering next year and continuing the next two years. Most of these ideas are not bad at face value, but in the face of declining dollars and resources some of them will be incredibly difficult to accommodate. We will see where things go from here. 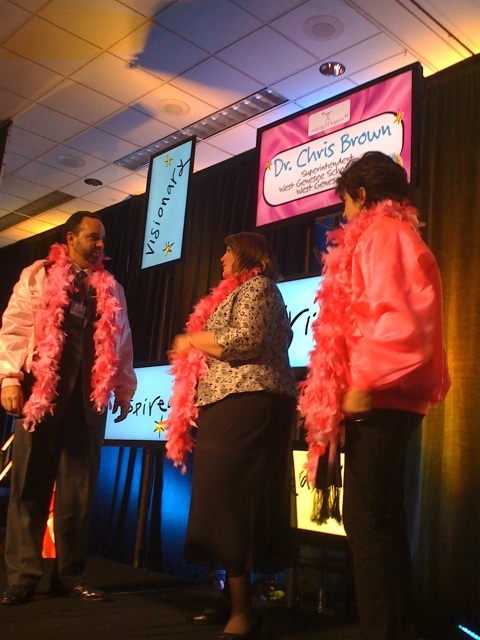 Our efforts to do something different with addressing the subject of bullying are moving forward. There are many different people in powerful positions beginning different "causes" related to bullying, harassment, and hate, but I really think that a couple of our students (Mike McCartney and Alyssa VanGampler) have something unique with their efforts to record stories of how bullying and harassment have affected real people; not actors. Their start up website, http//http://www.sthsquared.webs.com/ is the beginning of what will be an emotional and yet necessary journey to healing for those who have been bullied. This site is created by students and for students, and it will be created on their own time so I would suggest that as the site is populated that you support it but review the material on it before sharing with younger children because I have never heard a bullying story that has been "G" rated. Well done students and thanks for leading the charge on your level while I get things done with programs and policies. Big week ahead for the Wildcat Marching Band as they prepare for their Dome show this weekend. 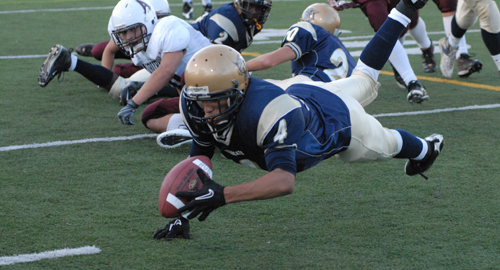 Aside from football, who ended their season last Friday night, many of our other sports are still in post-season play. Check the website for schedules and information. The end of the Fall sports season is drawing near which means that Winter is right around the corner. If you have children playing Winter sports as I do, this is also when stress re-enters the household. It is very difficult to have children understand that they are going to school in a Class I AA environment, which means that we are in the largest, most competitive division that New York State athletics has to offer. Winter sports (no pun intended) teams which have the fewest number of participants, in turn, have the largest number of cuts. As I always explain to my kids (they might understand it 5 years from now) "if you give it your best and you don't make the team then it is what it is, and if you don't give it your best and don't make the team, then it should eat you up until the next time you can try out". What is nice about this community is that there are dozens of other recreational and organized sports programs available so that if a child wants to participate in basketball, for example, but does not make our team they can still find a place to play. As I tell everyone, I just want kids to be happy first, and learn something second. I occasionally get asked if the Board of Education ever reviews its policies. This is a great question because in many schools the answer is no. Here we have an active policy committee consisting of three Board members who meet three to four times a year to make policy updates or add and subtract policies from the manual. I have liked this approach since I have been here because it gives me a chance to make sure that the policies that I am charged to enforced are complete and accurate for the times. Our anti-bullying task force is scheduled to meet for the first time on Tuesday, October 19 at the high school in the large group instruction room. If you are not on the committee but would like to become a member, please give me a call 1-315-487-4682, shoot me an e-mail cbrown@westgenesee.org, or just show up. Our second meeting is tentatively scheduled for November 16. I have also received some questions about Race to the Top, the federal initiative to improve student performance and hold teachers and administrators accountable for their performance as well. We are going to work with our local BOCES to have them help us collect the student data required to complete our improvement plans, and we are going to work with our Teaching Center to help us to revise our evaluation systems for administrators and teachers. There was $110,000 allocated for these over the course of 4 years which means little money to accomplish a lot, but we will take it. I have figured out how to use my Blackberry to send better pictures of our students in action to Twitter. 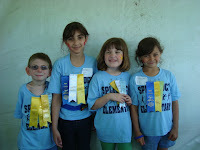 My Twitter handle is http://www.twitter.com/cbrownwgcsd. If you connect you can just see what is going on each day in the buildings or you can increase your involvement by sending me messages or having my posts "pushed" directly to your phone. I intent to hold a community "Social Media" night so people can come in, sign up, and learn to use some of the technology that we are using to communicate. Stay tuned. All for now. Have a wonderful week. It is going to be a beautiful homecoming weekend. Tomorrow night it will be close to 70 as our football team takes on Henninger High School. The game will be on Time Warner as the game of the week, and it will also be on http://www.livesportsvideo.com/. Of course we would like you to attend the game, and I am sure our players would appreciate it. The way it looks, whichever team wins has the clearest path to make the playoffs. I have had a chance to attend all of the other homecoming and home games, and we have done very well. It would be great to cap things off with a win by our football team. Best of luck to all. Also please have a great weekend, whatever you do, and don't forget to NOT SEND YOUR KIDS TO SCHOOL NEXT TUESDAY, THE 12th. That will be a workshop day for staff. Also, please be aware that we were contacted by the Department of Transportation, and they plan to pave the intersection of Milton Avenue and Hinsdale Road next Wednesday-Thursday from 9:00 a.m. - 3:00 p.m. Can your GPS say, "Plan an alternate route?" In my three years in the District I have never seen as many people on our campus as I did last night at the Tournament of Bands. There were people from all over the state, and I was really pleased to hear all of the positive comments about our facilities and about the organization of the event. Equally impressive was the recognition of our 38 senior Marching Band members with their parents and relatives who were lined up from the 20 yard line to the opposite 20 yard line! Next week the Marching Band is taking the show on the road to Detroit, Michigan for their annual regional competition. The only bummer about them going next weekend (planned a year in advance) is that it will conflict with our homecoming celebration, and the band won't be available for our homecoming football game against Henninger High School. With all of the things that our kids have going on, conflicts like this happen every once in a while, unfortunately, but in the end hopefully the Marching Band shows well and our football team gets a win! Last week was really cool. I had the chance to watch a youngster read for the very first time. The look on his face was priceless, and you could see the new found power that he had as he read his second sentence. This is why I do the job! I also had a chance to speak with some staff about the education series featured on msnbc.com titled Education Nation (http://www.educationnation.com/). If watched in isolation this series is really a downer as it paints a negative picture of education in the United States. We are fortunate that we have been ahead of the curve nationally, and evidence of that success can be found at (http://nbcscorecard.greatschools.org/). If you type 13031 into the search box, you can see how most of our schools in the District rated on a national and global scale (except for Onondaga Road, which you need to input 13219 or the school name into the search box to find it). Interesting information and certainly a "Don't Stop Believing" exercise. Last week we also learned that West Genesee is going to receive $110,000 over four years to accommodate the provisions set forth by Race to the Top. In the grand scheme of a $70M budget, this amount of money is really not much. By accepting Race to the Top we are required to show improvements in student achievement, overhaul our evaluation system for teachers and administrators, and establish a "data team" made up of at least three people. All good ideas, but in the long run it appears that we will spend more on Race to the Top than we will receive from the organizers of the program. We shall see. This week is Spirit Week leading up to homecoming. This is a true sign of Fall and a true sign that we are already five weeks into the school year! Last week was a good week. Aside from all of the negative news coming out of Albany, it was an absolute joy to visit and attend all of the open houses. While parking was a challenge, it is a good problem to have. It means that attendance and participation are high. An involved family usually means favorable results. Parent involvement is incredibly appreciated by me personally, as well as our staff. 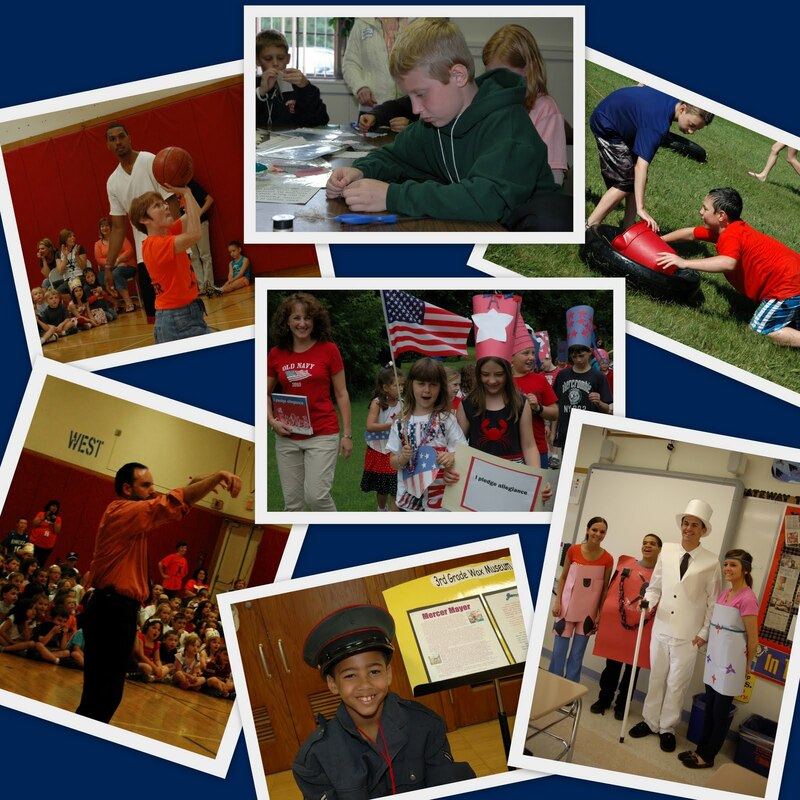 The last open house of the Fall is this Thursday at West Genesee Middle School. 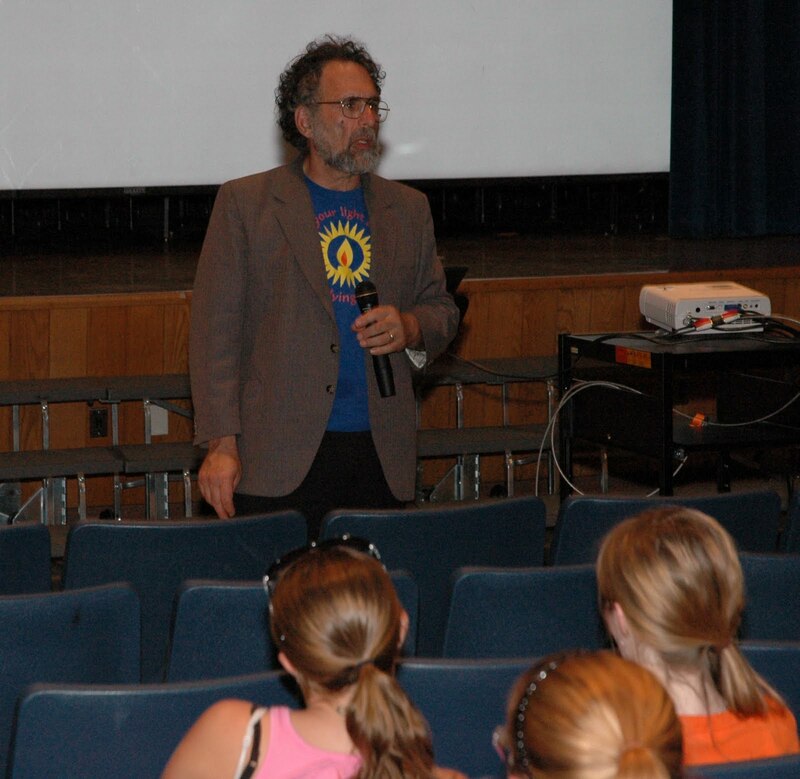 I also had the pleasure of speaking to the students in the high school on Friday. I wanted to thank them for their behavior, attitudes, and effort since I have been the superintendent. I spoke to them about keeping up what they have been doing. Because of their efforts, the respect and responsibility traits that they really need to be successful in our community have returned and they are seeing the benefits. We are realizing increased job opportunities from local businesses, increased scholarships from local organizations, and ease in working with our immediate neighbors. They have also noticed that no additional rules have been added to the high school in three years; again because of their commitment to the cause. I really enjoy all of our students and spending time with them always defines the best part of my work day. Yesterday was the Race for Respect. We had a great turnout once again and I think that I saw almost every breed of dog and every possible age-group of people! Thanks for participating and see you again next year. Lastly, you might have also noticed that our Marching Band has been challenged recently. Adversity brings out character. Our Marching Band staff and students know what it takes to work through adversity and they have unparallelled character. Both traits will be on display throughout the rest of the season and the Carrier Dome in a couple of months. Stay tuned. All for now. I will check back later in the week. Have a good start to the week and see you around. Another successful week and as usual, lots of stuff going on. First, at the state level they have already cut our state aid this year. We don't know exactly how much less we specifically will receive, but they have given the go ahead to cut both school aid and STAR, another area of revenue for the District. I am confident that our budget plan will accommodate these cuts, but I am longing for the day when we can just have a regular school year. Speaking of the economy, check out this morbid look at unemployment rates around the country http://www.latoyaegwuekwe.com/geographyofarecession.html. It is a time lapse look at unemployment across the country that you can watch unfold as a movie. Good times. I hope it gets bad reviews! Now on to some pleasant news. First of all, I really enjoyed myself at the various open houses around the District. Not only did I get so see hundreds of parents, I ran into a guy that lived in the same dorms as me during undergrad at Buffalo State College. As some of you know, I used to work undercover security for K-Mart that used to be in Western Lights Plaza when I was in high school. I met the State Trooper who used to help me "book" shoplifters and he and I also used to work out together at the same gym. Two people that I had not seen in over 20 years and I see them both in one night! Small world. This week we also learned that Steve Frank, one of the coolest music teachers and musicians that I have ever met, has been selected to be inducted into the SAMMY's (Syracuse Area Music Award) Hall of Fame as a Music Educator. 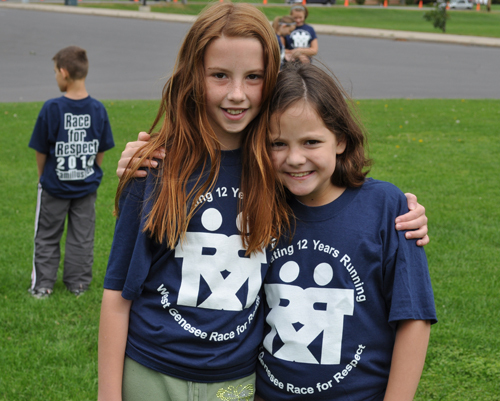 For more information please check out the Syracuse New Times. Well done! In an effort to do as much as we can for our students with disabilities, I met with Professor Alan Foley from Syracuse University. We had a great conversation about how we can provide the latest and most appropriate assistive technology for our students. We are going to begin the process of creating an articulation agreement where we will work exclusively with the University and have our children involved in a "Matching Technology" project that will connect our staff, students, parents, and graduate students. This is long overdue and I am excited to move this project forward. Also this week, we were able to negotiate with Lowes and Benderson Development (thanks Paul Pelton and John Driscoll for the leg work) to get access to the back parking lot at Lowes and to cut a hole in the fence and create a pedestrian walkway to our back ball fields. We hope to have this completed by the Spring so that spectators can get easier access to our varsity fields in back of the high school. This is a complete 180 from Lowes' stance last year and I am appreciative of their change of heart. Lastly, for this week I would like to feature our Boys Varsity Soccer Program. In high school athletics it is rare to see such a turn around of a program without a huge switch in players. Our soccer team has struggled with winning, attitude, and representation in the past. In 8 short months, and with the help of our new coach Al Loucks, our soccer team is representing themselves, their parents, and our community. They are on the road to victory but more importantly, they are on the road to respect. They have a big game on Monday, September 20, at 7:00 p.m. on our grass stadium against FM. I know that soccer is not popular in the United States but respect and responsibility are. If you can make it for even the first half or part of the game I know that the boys would greatly appreciate it. This is not meant in any way to take the spot light off of all of our other successful programs, but a positive change this drastic must be noted. If you have taken the time to read all of this; thank you! I know I can be long winded sometimes, but there is so much going on that I feel you should know that sometimes it takes a few paragraphs to do it! Have a great weekend and thanks for the continued support. Another school year! For some parents a time to place their most precious jewel on a school bus for the first time. For others, a time to send their senior to school for their last year in high school. I am a parent with kids in the middle of the journey. This is my eleventh start of school as superintendent and each one has been unique in its own way. This year is also a time for me to look back. This is the beginning of my third year in the District. I am proud to be your leader, and I am also proud of what our staff and community have been able to accomplish in such a short amount of time. By way of statistics, the wealth of our District has dropped 5%, and we have had a 113% increase in students needing free or reduced lunch. Also during this time our completion rate, or percent of students finishing high school, has increased by nearly 3% to an all time high of 91%. What this tells us is that we are providing the correct services to our children, and we will continue to find those winning combinations so that our children can continue to be successful. I could go on and on but I need to get into classrooms. Again, I am very excited for this year, and I want you to know that we will take the very best care of your children. See you soon and thank you for your continued support. Justin Bieber is not "on my iPod", nor will he ever be, but he certainly is on the iPod's and in the hearts of many of our students. When his show had to be postponed from Sunday evening to tonight, you could hear the cries from Geddes all the way to Camillus Middle School. How could Justin change his concert to tonight? Does he not know that tonight is locker night at both of our middle schools? Locker night actually ends at 6:00 p.m., but his concert starts at 7:00 p.m. so students who have tickets (and their parents) are somewhat uptight about getting to locker night and then making it to the concert on time. If you find yourself in this position do not fear. You can call either middle school and they will accommodate your locker visit for Thursday or Friday. Mr. Bieber should recognize the impact of his decisions in the future! While I am not here to tell you that there won't be a tax rate increase for this year, I am here to tell you that the actual tax rate that was recently set is lower than the rate that we projected by nearly a whole percent. This is good news in a bad news environment. You might notice a path being built from our back parking lot at the high school to both of our upper fields. This is the best solution we have thus far to try and help people (especially the elderly and those with wheelchairs) to get access to the fields. Unfortunately, this is going to be the best we can do for now. There is a major waterline under ground (about 4' in diameter), and we are prohibited from operating heavy machinery in that area which is preventing us from establishing a larger parking lot closer to the fields. We are also trying to work with Lowes and Benderson Devlopment to obtain access to the parking lot behind Lowes and also create a path along the back part of our bus parking area to get closer access to the fields as well. Lowes has given us tentative permission to use the parking lot, but we have not yet been successful with Benderson Development to allow us to pop a small hole in their fence to give us access to the bus parking area. Hopefully we can make this happen by the Spring when we really need it. If you received a paper copy of The Communicator and you think it looks different you are correct. Our publications coordinator is trying to find ways to keep the newsletter pleasing to the eye and cheaper to produce. We were not completely satisfied with the appearance of the newsletter this month, but we will find the right combination of paper, fonts, and colors. Thank you for your patience while we re-tool our look. We are 99% ready for students at this point. The finishing touches are being applied to each building and I am very excited for another successful school year. As always, if you want the most up-to-date information and you don't want to hear my voice just check, Twitter at http://www.twitter.com/cbrownwgcsd or our Facebook fan page by clicking here, or from the icon located on the web site home page. Our first home football game is this Friday night versus Baldwinsville and several of our other Fall sports teams have already begun competition as well. The Marching Band also did a great job at the "Preview" last Friday night. Go Wildcats! I hope that you are enjoying your summer. I have been busy but have still found some time to enjoy the nice weather. This blog will be brief but will have a few very important links included. First, I would like you to know that the New York State Education Department is beginning a major overhaul of the assessment system. The first step will be to lower the "cut" scores of the assessments that our children in grades 3-8 took back in May. Here is a link to the letter that is being sent home to parents about this initiative from my point of view. Good times. I have also attached a link to the actual document that the state is using to explain these changes. If you would like to discuss either document with me please feel free to contact me. Second, I had the pleasure of presenting at the New York State Association for Computers and Technology in Education (NYSCATE) conference this morning at Hudson Valley Community College. I have attached a link to the presentation in PDF format and in PowerPoint format and if you have any questions please feel free to contact me. I will ramp up the Twitter posts and blogs as we head into August and approach the beginning of the school year. Don't worry, I work all summer, but the fact of the matter is that I really miss having the kids and the staff around. I will enjoy the nice Summer evenings and the weekends, but I can guarantee you that I will be all cranked up for school in September. I would like to thank all of you for your continued support and trust. There is absolutely no way we could have done what we did this year without the efforts of all. While I am certainly hoping for more of a "normal" year next year, at least we know that we can get things done when the chips are against us. I will probably not use Twitter too much this summer because without the kids and staff around there won't be much to Tweet about! I will probably blog a few times to keep you in the loop on projects that we are trying to complete this Summer, as well as any changes in the budget or academics that come from the state that I think you would benefit from hearing about. I do want to thank Bonnie Russell, our Publications Director, for helping me with this blog, the Twitter account, and our Facebook page. I have asked her to include some pictures from events this year that maybe didn't make it to the paper, Communicator, blog, Facebook, or Twitter. Enjoy and have a great Summer. In the 17 years that I have been involved in education this has probably been my most enjoyable year. We have done some really great things, all while a state budget spirals out of control. Our community has been incredibly supportive, our students have performed exceptionally well, and we have grown closer togetheras a staff. Our Lady Wildcats fought hard over the weekend and came up just shy of a trip to the state lacrosse championship. They battled through two overtimes and lost in what is called "sudden victory", which is the new politically correct term for "sudden death". The loss didn't bother me and shouldn't bother you either. We are in a culture where sports is all about winning, and you aren't going to find a more competitive person than me. However, this particular group of young women demonstrated character, poise, and drive during this entire season. The senior leadership was unbelievable, and they will be ready for whatever challenges life gives to them. Graduation was a very special event as well. I personally enjoyed myself more this year than last year because I had a relationship with many more students than last year so it was nice to know the students who I was shaking hands with. Congratulations to our graduates! Exams, field days, exams, and more exams! Have a great week. I have to tip my hat to the staff and students at the high school for what was the smoothest last day of classes that I have had in 10 years. I appreciate the respect that the students have shown this year, and I am looking forward to graduation this weekend where I get to shake their hands, look them in the eyes ,and congratulate them on jobs well done. The Girls Lacrosse Team is in Cortland this morning to compete for a chance to play in the New York State Lacrosse Championship game tomorrow. Best of luck to our Lady Wildcats! I will have Twitter updates tomorrow morning if they are fortunate enough to play in the championship game. Graduation rehearsal is later this morning and I am pleased to report that it appears that we will have a higher percentage of students graduating than we have had in the past. Thanks to our at-risk program and counseling, we also have some students graduating this year who "dropped out" as far back as two years ago who decided to give it a go and get their high school diploma. Congratulations! Next week I will update you about recent news from the State. Aside from the State budget fiasco, the State Education Department, under the watchful eyes of a skeleton staff, is poised to make some major changes to testing and scoring. I want to do some additional research before I give my "official" opinion, but the way it looks we could see some of the biggest changes since the "Regents Action Plan" of the early 1990's. That is too deep a topic for now though. Today is for getting around to buildings, attending graduation rehearsal, and playing SU Basketball star Kris Joseph in a game of PIG later in the day. I hope I can still hit a jumper in my suit! This is the time of the year when our kids might do some squirrely things. Final exams, oncoming summer jobs, the possibility of summer school for some, graduation, and just plain work load can stress kids out. Don't be surprised if your child chooses the next few weeks to show you a different side. Managing this can be equally difficult for parents and staff alike. The best advice I can give is to take a deep breath, assess the behavior, deliver a firm, fair, and consistent consequence, and move on. My experiences tell me that making more of these types of goofy situations, make future goofy situations worse. You can also encourage your child to get sleep, eat well, and try to exercise, even if it means walking the dog around the block. In 17 years of being in this business, I can honestly say that I have always seen some new situation arise during this time of the year! This weekend will be incredibly busy. The music awards will be held on Friday night, boys and girls lacrosse as well as boys golf all square off this weekend, and I wish them the best of luck. Have a great weekend and talk to you next week. First let me say a few words about Kaleidoscope: excellent, awesome, fantastic! I will now say a few words about Memorial Weekend: thank you to our veterans and active personnel for allowing us to have the weekend that we had. Thursday @CNS - Boys/Girls Track State Qualifier 4:00 p.m. I will update what I can, when I can, on Twitter. Unfortunately, I have conflicts each day but that is what this time of the year is like. I will update again on Friday. Fasten your seat belts! Anyone who has lived in Syracuse for any length of time knows enough not to complain about the weather being too hot. That being said, it has been a challenge for students and staff in a few of our buildings to beat the heat these past few days. We are not running a "Sweating Off the Pounds" program in case anyone asks you. I recently finished signing all of the diplomas for graduation. I sign all of them in the hopes that all of our seniors will graduate in June. The process of signing diplomas takes about 6 hours. People ask why I don't just use a stamp and save the time. Providing a personal signature on every document I sign, including diplomas, to me is a non-negotiable. Our children have spent 13 years getting to the stage in June and the last thing I want to give them as a memento is a piece of paper with a rubber stamp signature. I just looked at my diploma from 1989 the other day and my Superintendent did the exact same thing; I just didn't know who he was ;>). Stan Davis came and spoke to our staff, students, and community about bullying. I found his presentation to be very helpful. He introduced new research that will help us to depart from many of the things that we have tried as school leaders over the years that have simply not worked. As we form our committee to refocus our efforts and develop a new direction for our District, we will apply some of his techniques including involving students in the process (at all levels), increasing communication with the home, finding ways to hold parents more accountable for the behavior of their children, teaching strategies to children so they have a better understanding of when something should and shouldn't be brought to the attention of an adult. I am pretty excited to move in this direction and I am hopeful that we will be a better District in this regard when our project is completed. I am really excited for Kaleidoscope this evening. What a great way to see all of our Fine Arts talent in one location! Good luck to all of our sports teams that have entered Sectional play and have a wonderful weekend capped off with a great parade on Monday. If you have been following my Twitter feeds at (http://www.twitter.com/cbrownwgcsd), you have seen that I finally got the camera on my phone working and able to upload pictures! This has been a blast. From the Senior Ball (which was elegant), to the after-party (thanks to all of the parent volunteers), through the budget vote, the various concerts this week, several games, and the Special Olympics, you can see that we have our children involved in a lot of very worthwhile activities. As I get better with the camera, I will certainly share more pictures. The pictures from the Ball for example, had over 500 views in the first 2 hours that they were posted. Amazing. Speaking of amazing, thank you once again for your overwhelming support on the budget. We had close to a 75% pass rate which really exemplifies the trust that the community has in our school District. I certainly respect that trust and will do everything in my power to keep it. I am hoping to enjoy a beautiful weekend watching my youngest play AAU basketball, and I plan to attend the opening of the aqueduct in Camillus if I can rally and shake this cold that seemingly will not go away! Enjoy your weekend and I will post again next week. There have been a lot of things happening lately and sharing them all would be something that I could probably bind and publish. The long and short of it is that we are now 29 days away from graduation. Advanced Placement Exams, Grades 3-8 Assessments, and benchmarking are all in full swing. Spring sports are well underway and just about all of our teams are performing very well. It is always a pleasure to watch the joy that success brings. We also held the Honors Dinner at the high school, have held many concerts, and are preparing for Kaleidoscope and a Blue Ribbon School Celebration. We have done all of this while elected officials bicker over sales tax, the Governor furloughs workers and holds back State Aid, and 5,000 gallons of oil spill into the Gulf each day. We are handling our business. Today we held a simulated DWI crash at the high school. Words cannot express my gratitude to the many emergency volunteers, students, staff, Town Board and School Board members who participated in this very important activity. Part of being a teenager is making poor decisions, learning from them, and moving on. Drinking and driving, or getting into a car with someone who has been drinking, is a poor decision that just cannot be made. With the Senior Ball tonight and graduation right around the corner, please help me help our children to make the right decision. Speaking of the Senior Ball, I am very excited to be attending this evening. I have a beautiful date who has attended 17 dances with me going right back to before we were even married. The dance and the All-Night Party at the high school should be a great time. Thanks to all of the parents and companies that have donated time, food, and prizes for this event. On a very positive note, I had the pleasure of attending the Senior Breakfast with one of our students with special needs. I asked her about her dress and if she was looking forward to attending the dance. She is very excited. I then asked if I could get my picture taken with her, and she told me that I had to ask her boyfriend first! I also got to meet a senior who will be the first in her family to receive a High School Diploma. How could my day end on a more positive note than that? Time to give thanks to all of the moms. Speaking for myself, I would say that my mom is a very special person, and I probably wouldn't be where I am today if it was not for her guidance and up-bringing. Thanks mom! On another note, we are happy to announce that West Genesee has once again been named "One of the Best Music Communities in the Nation". Congratulations to Mr. Davern and all of his staff for providing our children with quality music programs. If you have been keeping track of the sales tax situation, our sales tax revenue will be trimmed over the next few years. This is not ideal but is certainly better than receiving nothing; which is how the proposal started. We will manage our budget and slowly trim it down to reflect the change in revenue over the next couple of years. Enjoy the weekend. Next week is the Honors Dinner and then the Senior Ball! Did You Know That Our Varsity Softball Team is 7-0! As we count down the days until the budget vote, which will lead us quickly to graduation, it is time to reflect on all of the great things that are happening. For starters we have plenty of people signed up to help us re-vamp our anti-bullying program(s) into one K-12 message and to brainstorm ways to help lessen the bullying that is happening. While it is very clear that the majority of bullying is happening on the Internet and cell phones, we are developing some strategies to involve parents more to help make them aware of what their children are doing and give them skills to help their children to make better choices when they choose to bully. I am excited that we will develop something powerful and pertinent. The Junior Prom is this weekend also and our attendees are a excited as ever. Please keep an extra thought in your head that all of our attendees make good choices and get to and from the Prom safely. 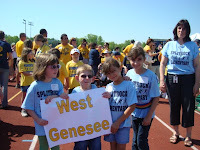 We are also pleased with our Facebook fan page at http://www.facebook.com/#!/pages/Camillus-NY/West-Genesee-Central-School-District/358918496938?ref=ts. We get more followers each day, and it is a great place to get information about the school. Check it out. Before I get back to budget work, I wanted to let you know that I am going to start a new segment on Twitter called "Did You Know". It will be the first tweet that I send each day and will include a fun fact about something in the District. All for now. Enjoy what is looking like a very nice weekend.